Friday evening, March 22, 6 to 8:30 pm at Seneca Lodge, a lovely Montgomery Parks facility on Clopper Road in Boyds. 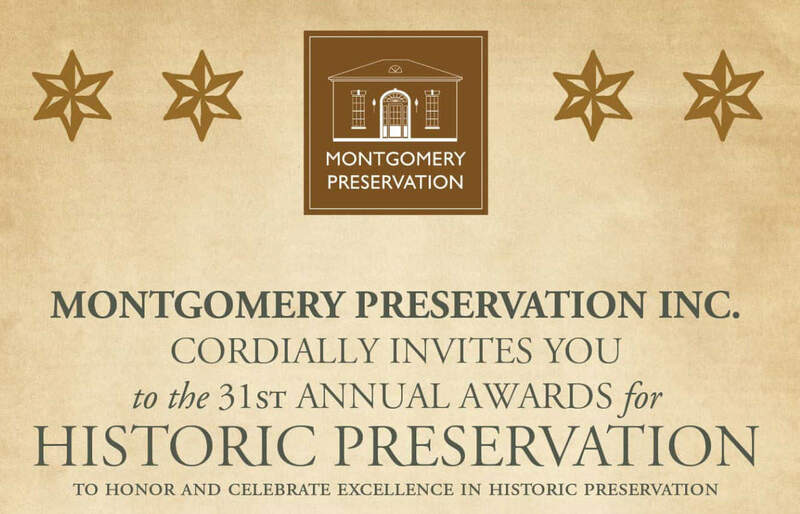 Join neighbors and public officials to celebrate individuals and groups who have made Montgomery County a better place in 2018. Honored people and projects illustrate the breadth of history and preservation activities happening all around our county. A great way to be informed and inspired as winter turns into spring. We are at full capacity for the Historic Preservation Awards presentation. What a wonderful testimony to this year’s awardees and the beautiful venue our co-hosts arranged for our program this year! If you did not get to RSVP for this year’s event we look forward to your presence and project nominations for our 32nd annual program in 2020.